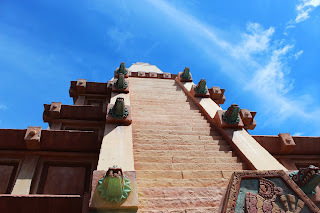 Kingdom Konsultant Travel Blog: World Showcase Spotlight: Mexico! As a frequent visitor to Walt Disney World, there are many things I look forward to each and every trip. Attractions, shows, dining – the list goes on and on. At the top of this list is visiting World Showcase at Epcot. World Showcase is a cultural and culinary adventure through eleven different countries without needing a passport or racking up lots of frequent flyer miles. Over the next several months, I want to feature a spotlight on each of the pavilions that make up World Showcase. Naturally, I’m going to start with the country we always visit first when we begin our around-the-world trek – the Mexico pavilion. As you enter World Showcase from Future World, Mexico is on your left. It’s hard to miss the beautiful Aztec-inspired pyramid that towers over the rest of the pavilion. When you get closer, the sounds of trumpets and guitars from a live 12-piece Mexican Mariachi band grab your attention. And while we’re discussing the atmosphere, it’s hard to ignore the smell of the tempting Mexican dishes and drinks lingering in the air. All of the sights, sounds and smells come together for a sensory overload, which transports you to another place and time. When visiting the Mexico pavilion, make sure you go into the pyramid. Some people are surprised to find that there is more tucked away here. Upon entering the building, check out the Mayan artifacts and art that welcome you. It’s also a great way to give your eyes time to adjust if you’ve just come in from the bright, Florida sunshine. It is a bit dark in there, and as you enter in further to the building, it gets a little darker. Further inside happens to be one of my favorite places in all of Epcot. Hanging lanterns, merchandise carts, the fountain and architecture all make you to believe you have just walked into a market place somewhere in the real Mexico. A variety of merchandise ranging from pottery and jewelry to apparel, toys and tequila are available for purchase. Speaking of tequila, if you’re looking to try some adult beverages in World Showcase, be sure to make a stop into La Cava del Tequila while visiting Mexico. With a vast selection of tequilas and margaritas (such as coffee, cucumber and jalapeno), you’re bound to find something that you love! Fun and entertainment also await you in Mexico. Located inside the pyramid you will find the Gran Fiesta Tour Starring the Three Caballeros (who happen to be Panchito, Jose Carioca and the infamous Donald Duck). Take a relaxing boat ride while helping Jose and Panchito find their feathered friend that completes their trio, who seems to have disappeared. While sailing through the sights and sounds of Mexico, you’ll become acquainted with the culture and people who live there. It’s a fun ride for both kids and adults, and is a great way to take a break from the Florida heat. And don’t worry, Donald is safe and sound! If you’re a fan of Mexican cuisine, you’re in luck. The Mexico pavilion has several different dining options for you to try. For table service meals, you can check out La Hacienda de San Angel, the newest restaurant added here. This restaurant is set right on the beautiful World Showcase lagoon, overlooking the water and other countries. Dinner is the meal served here with menu items such as Tacos de Camarones, Pescado a la Talla and Arrachera. 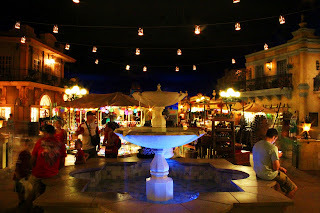 If you would like to enjoy the lagoon side dining style, but for a quick service meal, check out La Cantina de San Angel, which serves tacos, nachos, churros, burritos, flan and margaritas. Located inside of the pyramid are two more dining options. 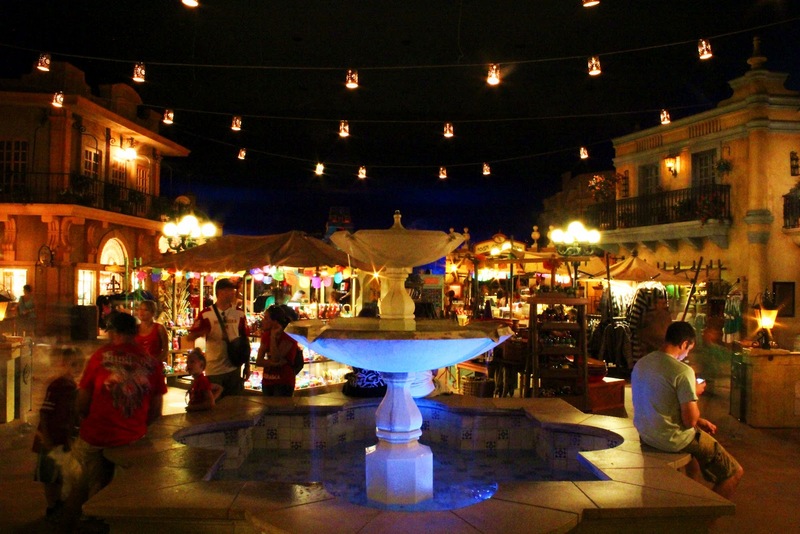 The most popular happens to be San Angel Inn. The restaurant itself is also set along water which happens to be the beginning scene of the Gran Fiesta Tour. It is dark here, and lit only by dim lanterns and the glow of a volcano in the distance. But combined with the soft music in the background and the sound of the flowing water below, it makes for a pretty romantic and relaxing meal. The next time you’re visiting Epcot, be sure to stroll your way around the world at World Showcase. Stop in Mexico and listen to Mariachi Cobre for a bit or enjoy a margarita (or do both). Enjoy a boat ride with the Three Caballeros and do some shopping. 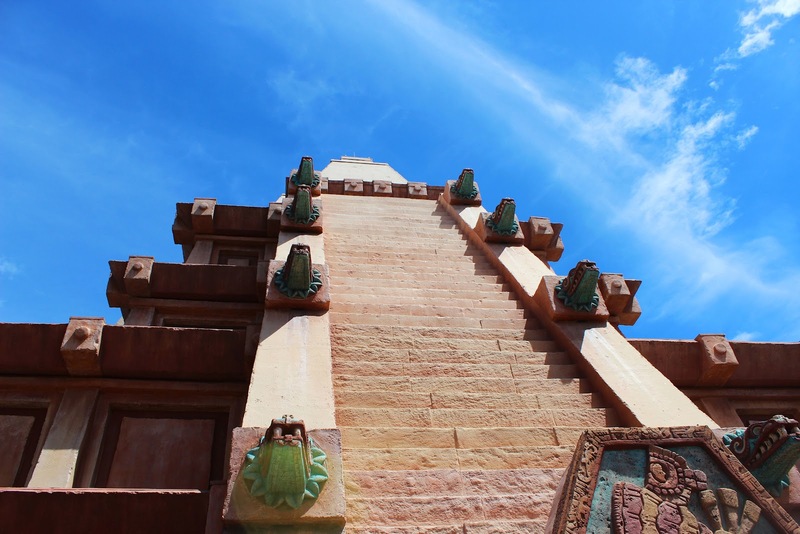 However you enjoy your time in the Mexico Pavilion, it’s a great way to start off a World Showcase tour! What is your favorite part of visiting the Mexico Pavilion?